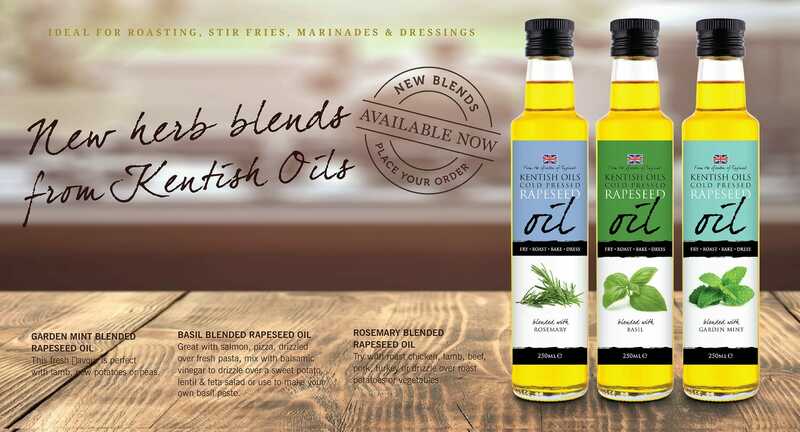 Kentish Oils & Kentish Condiments are proudly owned by Kent-born Laura Bounds who has built the business on a passion for British food & drink. 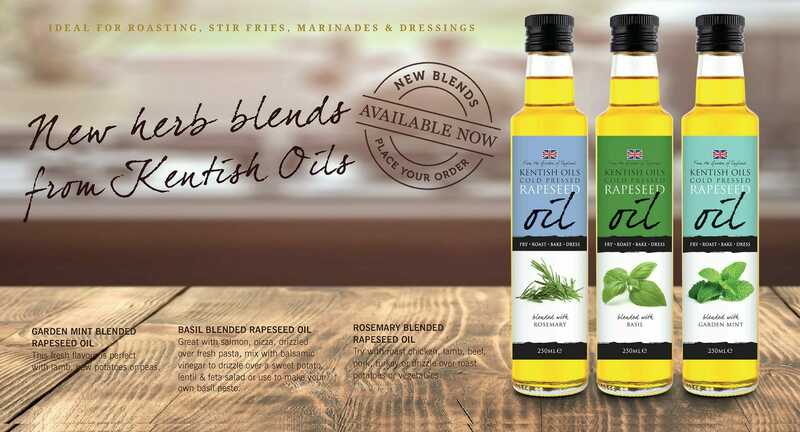 Only the finest ingredients are used to produce our award-winning range of Rapeseed Oils, Dressings & Mayonnaises. Every bottle & jar is produced by hand in small batches, quality checked & packaged with love. 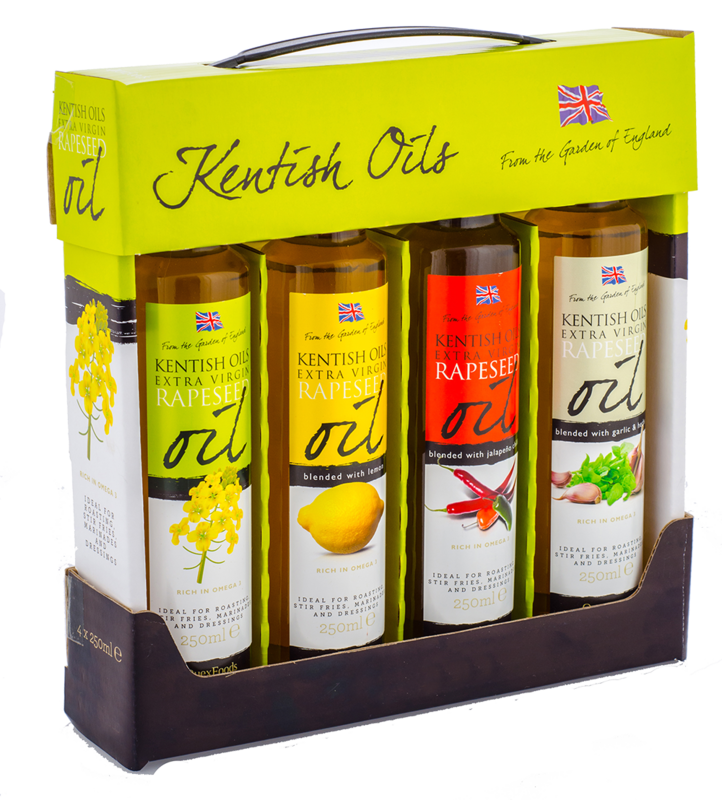 Kentish Oils Rapeseed Oil has been produced at our SALSA accredited farm-based unit since 2008 with 100% traceability back to the field the oilseed has been grown on. 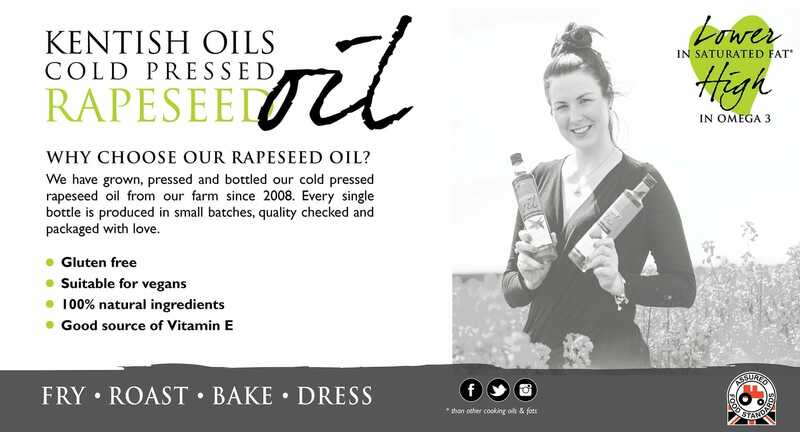 By carefully selecting only the very best varieties of rapeseed, grown specifically for us here in Kent, and then cold pressing & filtering, we are able to produce a nutritious rapeseed oil with a distinct colour & flavour. 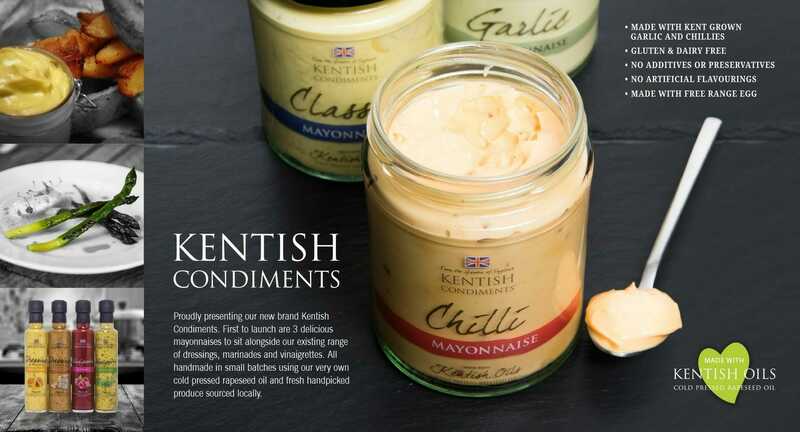 Our range of dressings, marinades & mayonnaises are made using our Rapeseed Oil along with handpicked local & British ingredients to produce a range of great tasting Kentish Condiments essential for every kitchen and perfect for adding extra flavour to a wide variety of dishes. Our whole range is Red Tractor certified, guaranteeing the provenance of the oils & condiments from farm to fork. 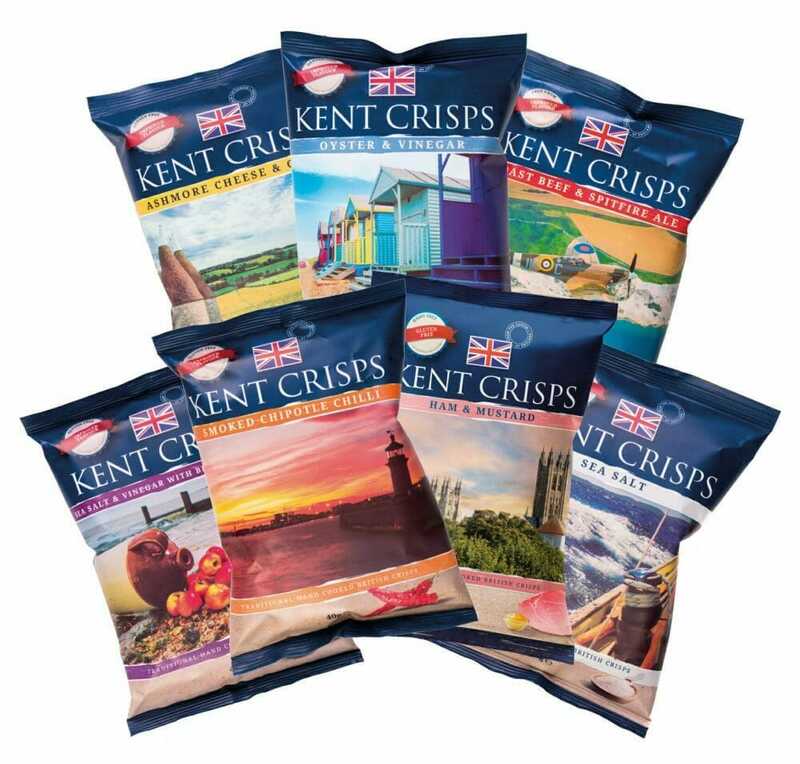 Visit our sister brand Kent Crisps. Award winning, Traditional Hand Cooked British Crisps.